Piece of Cigarette cake anyone? Lucky to have a boat like that at such a young age and a great wife that knows what her man likes. Happy Birthday. Where did you cut the first piece from. 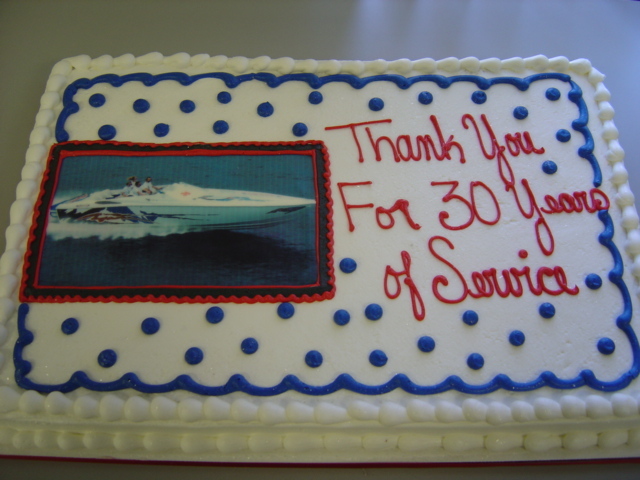 Did you slice the bow or go after the transom? That is one cake that is too good to eat. I don't think I could bring myself to eat it. That's a work of art. Funny that she left out the girls in bikinis on the sunpad. I'm sure that took a LOT of work. 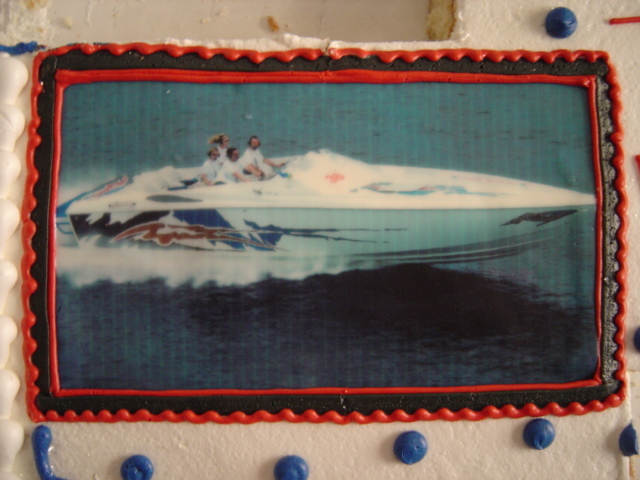 When my wife retired from her job they put a picture of the boat in the icing which was really cool. You could actually eat it, not sure how they do that. They assumed she would be doing a lot more boating. 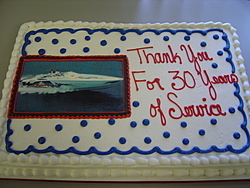 That was very nice of them and another cool cake. You have the coolest wife!!!!! next to mine of course! 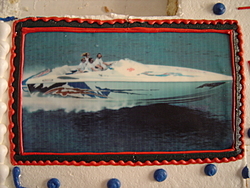 Quick Reply: Piece of Cigarette cake anyone?